Spring Flair has come to an end! Always try Demos first – No Transfer means No Refundable! NEWS FOR THE BIG CHANGE! I opened a Survey about a week ago to ask you for the changes you want to see at .EscalateD. and I already got SO MUCH feedback *thank you all so so much* the process of working on new Hairtextures and colorpacks is still going on, plus the fact that most of you want a makeover on all existing Hairstyles, which would only include updating them to new Textures and materials and making them modifiable – the old textured, no mod ones will then only be available on MP, thus the Mainstore will experience a total makeover too, not only because I have to switch over to a new Vendorsystem by the end of May, but the Vendors would look quite different because of the new colorpacks etc. In this particular matter, I recommend once again, to use your storecredit and most important to redeem all outstanding Giftcards, once the Vendorsystem is switched you wont be able to redeem the Giftcards like they are right now! This is sadly beyond my control, so please redeem them into credit and use it. I will back up your database by hand but I can not guarantee to be able to transfer everything to the new system, again this is beyond my control – for Redelivery’s goes the same, just to be save – please go to the mainstore and click the redelivery terminal – grab everything you got and put it in a rezzed box to have a backup in case you loose anything. This will be in your own interest, so in case I cant transfer the database from the current system to the new one you wont be able to redeliver anything of your previously made purchases! Besides all the stuff going on and the process of working on the new Changes, I decided to let the Survey going on a bit longer – in case you didnt know about it yet, if you fill in this survey, you will have the chance to win a prize *e.g. Fatpack of your choice, or giftcards / storecredit – since the prizes will depend on the new Vendorsystem and Fatpacks will be the updated new ones, I will announce the 3 Winners with the BIG reopening – till then I will still collect entries. If you havent filled this Survey yet you can go to https://goo.gl/X12Ktb and fill out the form, enter your SL name at the end to get the chance to win and with a bit of luck you will be one out of 3 winners. When the changes go final I will temporarily close the store to set up the new vendors etc, when this happens I will close the Survey and once the Store is ready to go I will announce and contact the 3 Winners to select and collect their prizes. Im going to announce this Step soon enough so you all will be able to do the recommended things for the upcoming Vendorsystem switch and to get ready for the BIG Change! Thanks to everyone who filled the form, and who gives the feedback and support to bring up the changes everybody wants! Survey: BIG change @ .EscalateD. .EscalateD. is going to have some BIG changes and because of that, I want to ask my loyal customers what they think about some topics – I really want to put every wish into consideration! Thanks again for everyone who takes the time to fill out this survey! You probably heard that E2V announced their retirement this week, means I will need to change my vendor system. Because of this, I recommend everyone to use any remaining Giftcards / Storecredit balance, and further to redeliver all past purchases to create a back-up-box as the system will no longer work after May 31st. This is just to be save in case I’m unable to back up the database. Pls don’t bring up any complaints because its sadly beyond my control. Dont forget to wear your [.EscalateD.] 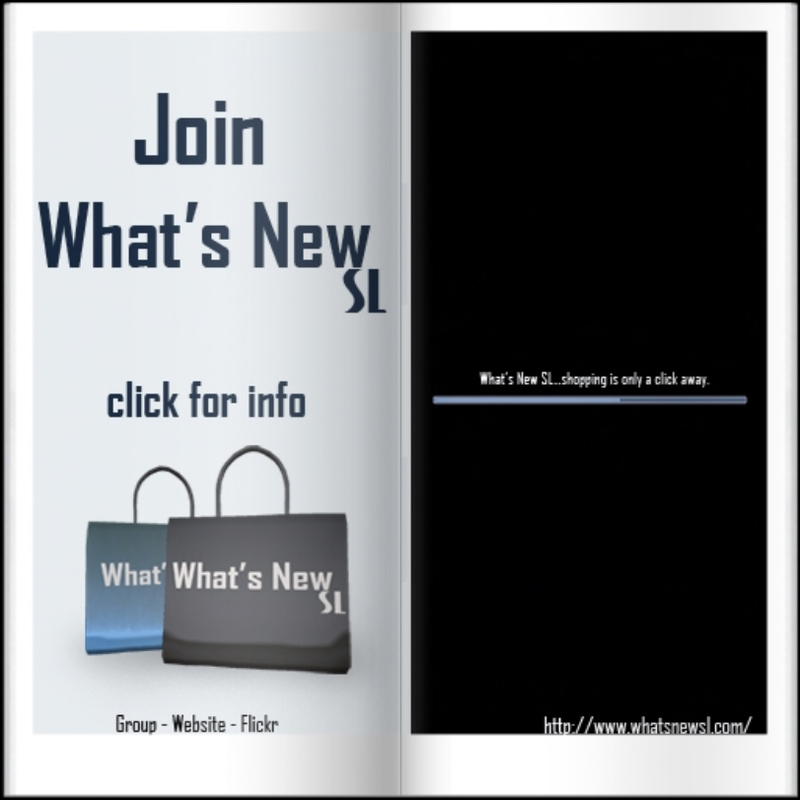 Grouptag while shopping to earn 25% Storecredit – Mainstore only! The Rotten Egg Hunt has started! Over 30 Designers have come together to bring you an amazing hunt all in one location. You are searching for a rotten egg. Some stores have more than one egg out so make sure you look around.